Features Pure Organic Cotton stretch top, quilted suede sides, Natural Latex, Soy based Polyfilax Visco Memory Foam, and Patented "Lever Support System" that gives: proven best back support, 90% less tossing and turning, and clinically proven better sleep. M.D. 's and Chiropractors agree Supple-Pedic is Best! 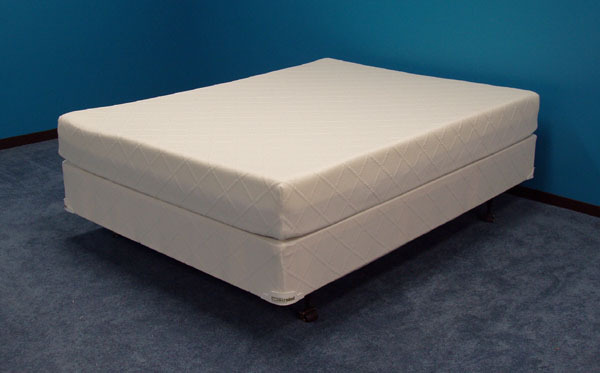 Features Pure Organic Cotton stretch top, quilted suede sides, Soy based Polyfilax Visco Memory Foam, and Patented "Lever Support System" that gives: proven best back support, 90% less tossing and turning, and clinically proven better sleep. M.D. 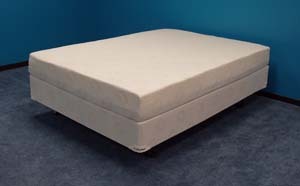 's and Chiropractors agree Supple-Pedic is Best! 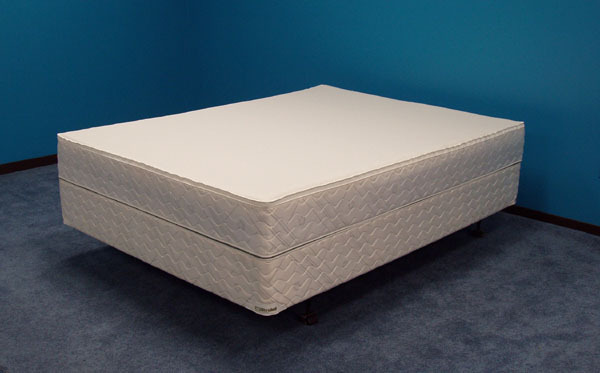 Features Pure Organic Cotton stretch top, quilted suede sides, Soy based Polyfilax Visco Memory Foam, Natural Latex, and Patented "Lever Support System" that gives: proven best back support, 90% less tossing and turning, and clinically proven better sleep. M.D. 's and Chiropractors agree Supple-Pedic is Best! Top layer is Polylux. Hypo-Allergenic. Dust Mite Free. 20 Year Limited Warranty. Comes with Conforma stretch velour cover that is removable and washable. Top layer is 3 inches of Polyfilax for a conforming feel that is both soft and comfortable yet offers firm support. Hypo-Allergenic. Dust Mite Free. 30 Year Limited Warranty. Imported European damask cover is removable and cleanable. Simple European styling uses regular sheets. Patented 'Lever Support System.' gives proven best back support, 90% less tossing and turning, and clinically proven better sleep. M.D. 's and Chiropractors agree Supple-Pedic is Best! Top layer is 3 inches of Polyfilax for a conforming feel that is both soft and comfortable yet offers firm support. Hypo-Allergenic. Dust Mite Free. 30 Year Limited Warranty. Stretch fabric top cover is removable and washable with unique hidden zipper. American/Euro blend high profile design. Patented 'Lever Support System.' 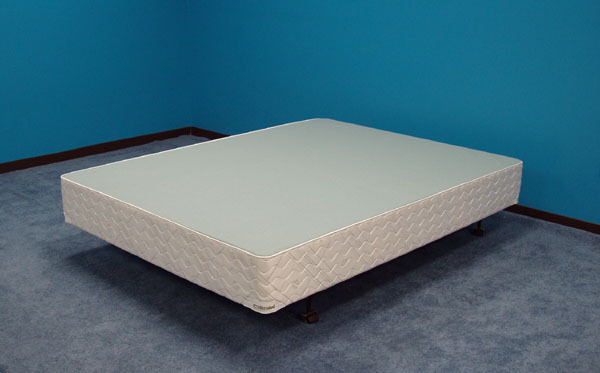 gives proven best back support, 90% less tossing and turning, and clinically proven better sleep. M.D. 's and Chiropractors agree Supple-Pedic is Best! Top layer is 4.5 inches of Polyfilax for a very conforming feel that is both soft and comfortable yet offers firm support. Hypo-Allergenic. Dust Mite Free. 30 Year Limited Warranty. Imported European stretch fabric cover is removable and washable. Simple European styling uses regular sheets. Patented 'Lever Support System.' gives proven best back support, 90% less tossing and turning, and clinically proven better sleep. M.D. 's and Chiropractors agree Supple-Pedic is Best! Top layer is 4.5 inches of Polyfilax for a very conforming feel that is both soft and comfortable yet offers firm support. Hypo-Allergenic. Dust Mite Free. 30 Year Limited Warranty. Stretch fabric top cover is removable and washable with unique hidden zipper. American/Euro blend high profile design. Patented 'Lever Support System.' gives proven best back support, 90% less tossing and turning, and clinically proven better sleep. M.D. 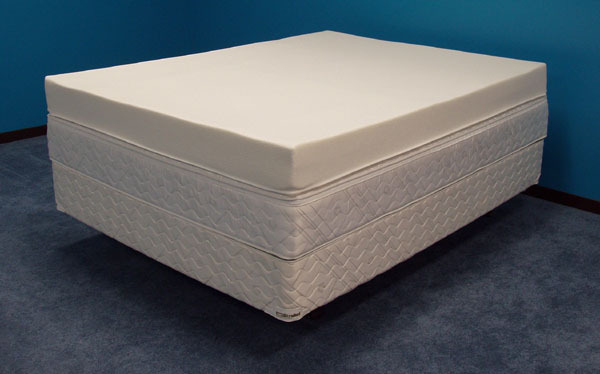 's and Chiropractors agree Supple-Pedic is Best! Top layer is 6 inches of Polyfilax for the most conforming feel that is both the softest and most comfortable and still offers firm support. Hypo-Allergenic. Dust Mite Free. 30 Year Limited Warranty. Imported European stretch fabric cover is removable and washable. Simple European styling uses regular sheets. Patented 'Lever Support System.' gives proven best back support, 90% less tossing and turning, and clinically proven better sleep. M.D. 's and Chiropractors agree Supple-Pedic is Best! Top layer is 6 inches of Polyfilax for the most conforming feel that is both the softest and most comfortable and still offers firm support. Hypo-Allergenic. Dust Mite Free. 30 Year Limited Warranty. Stretch fabric top cover is removable and washable with unique hidden zipper. American/Euro blend high profile design. Exclusive Patented 'Lever Support System.' 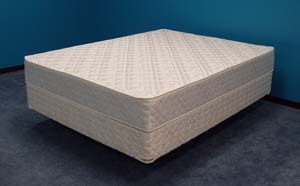 gives proven best back support, 90% less tossing and turning, and clinically proven better sleep. M.D. 's and Chiropractors agree Supple-Pedic is Best! Supple-Pedic foundations are constructed with a matching cover on a solid wood box construction .